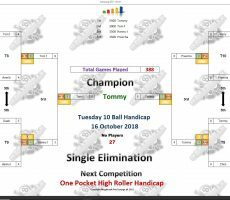 TUESDAY 10 BALL – 16th OCTOBER : TOMMY WINS. 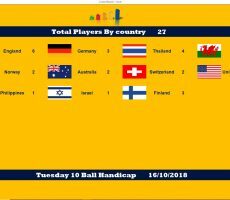 Our 10 Ball Champion for this week is Tommy Fineman from Israel. 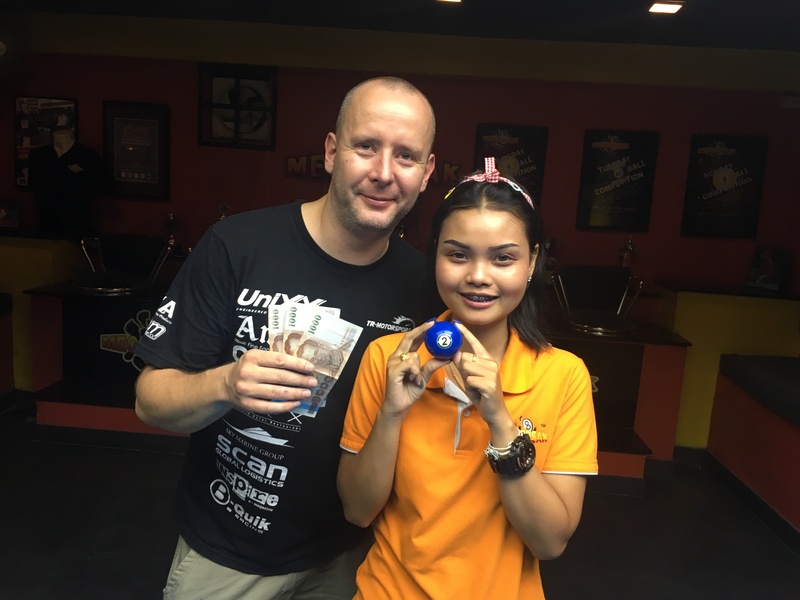 After finishing as Runner-Up in Sunday’s 9 Ball, he put things right last night to go all the way and pocket the 1st Prize of 5500 baht. 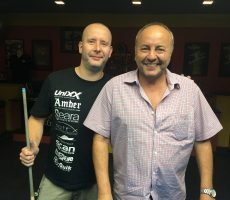 He was at the top of his game all night long to win six consecutive matches without defeat and claim victory. 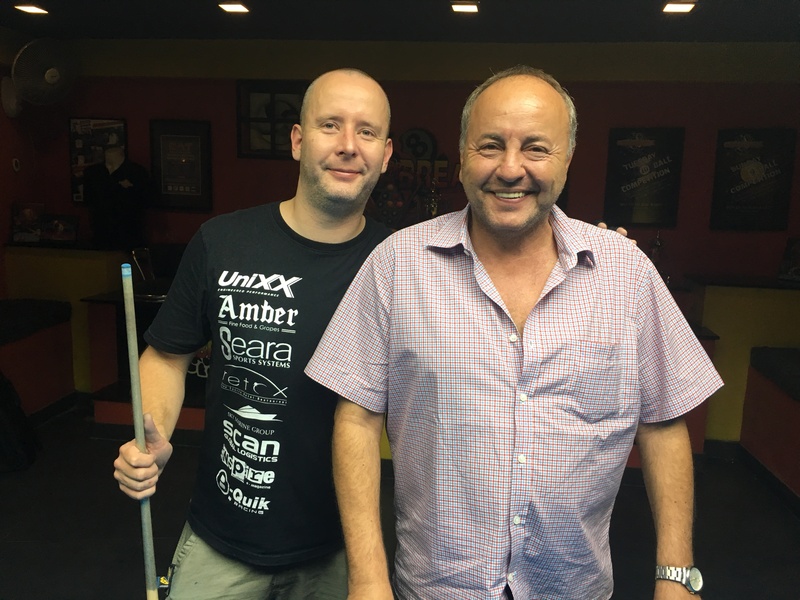 From a total entry of 27 players, he beat another man in form, Norway’s Tom Fossum in the final by 5 racks to 1 (5-8). 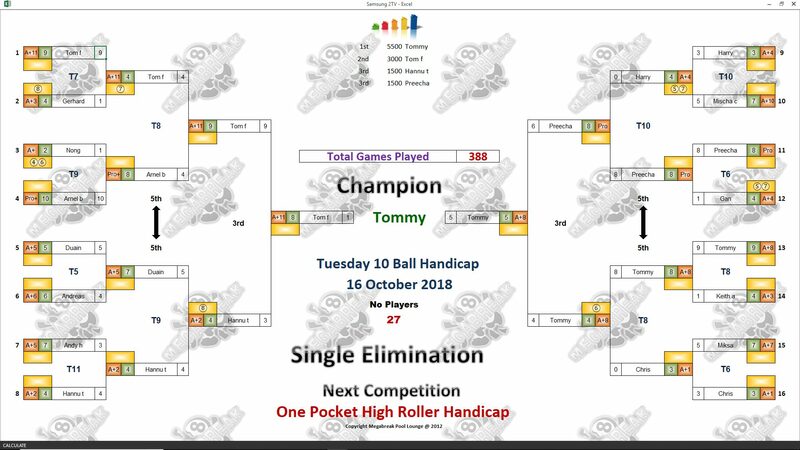 Tom also played well to reach the final, and took home 3000 baht in 2nd Place. 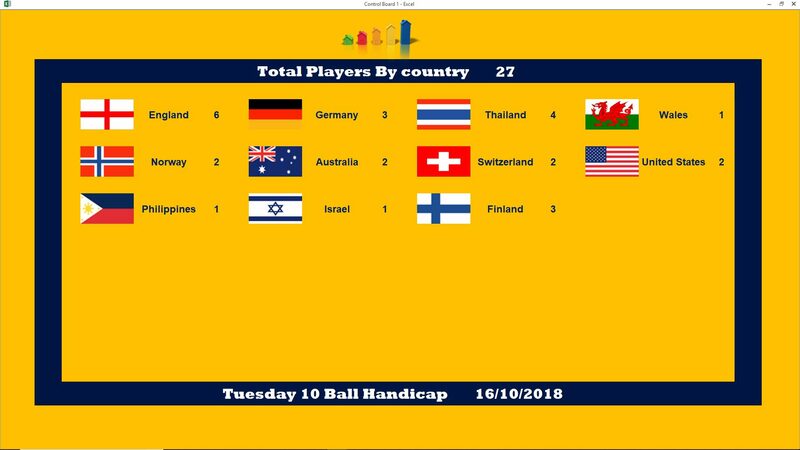 His handicap now moves back up to A+12 as a result. 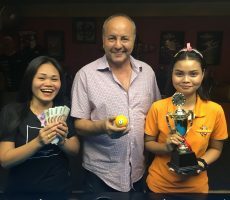 The other money winners on the evening were Thailand’s Preecha and Hannu Torpström from Finland, who each received 1500 baht for reaching the semi-finals. Champion : Tommy (A+8) – 5500 baht. 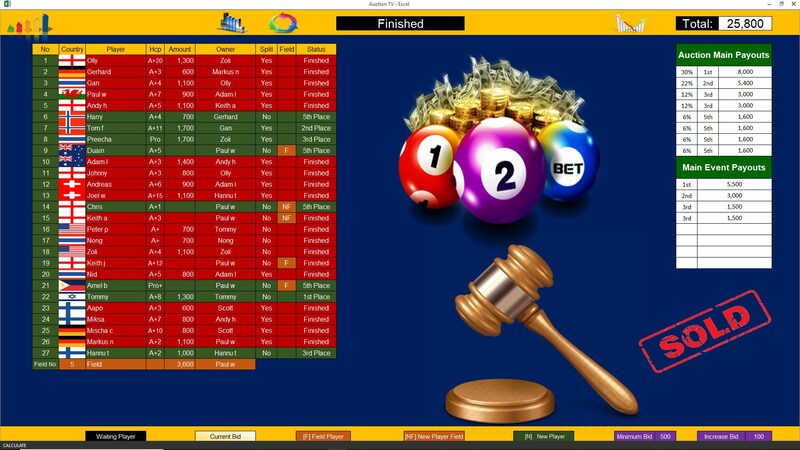 Runner-Up : Tom (A+11) – 3000 baht. 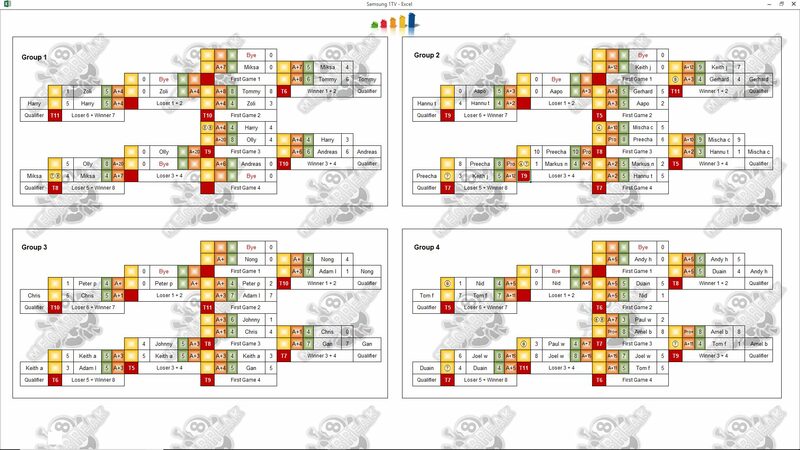 Semi-finals : Preecha (Pro) and Hannu (A+2) – 1500 baht each. 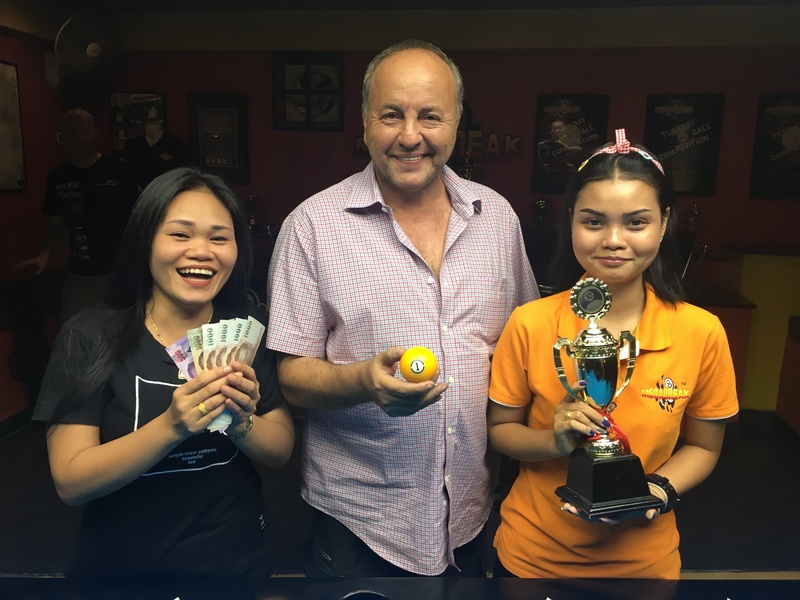 The Player Auction created an extra Prize Pot of 25800 baht, and was won by our champion. He bought himself for 1300 baht, and added an extra 8000 baht to his winnings on the night. 1st (30%) : Tommy (Himself) – 8000 baht. 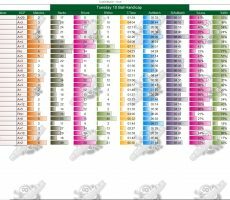 2nd (22%) : Gan (Tom) – 5400 baht. Equal 3rd (12%) : Zoli (Preecha) and Hannu (Himself) – 3000 baht each. 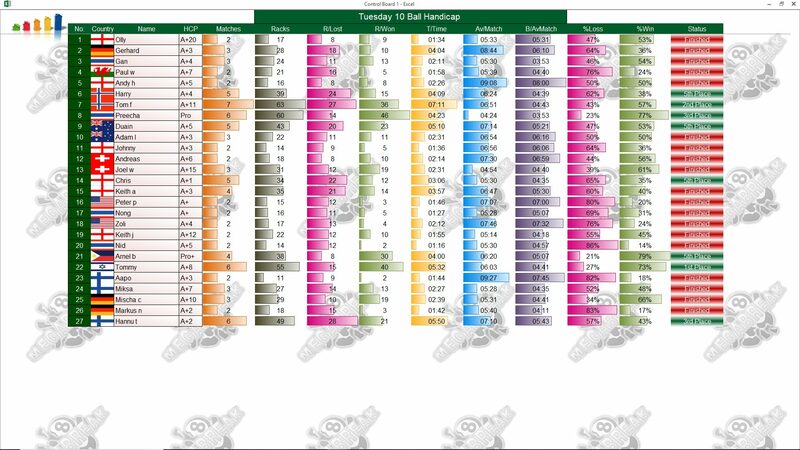 Equal 5th (6%) : Paul Bushnell (The Field) x 3, and Gerhard (Harry Arefjell) – 1600 baht each.